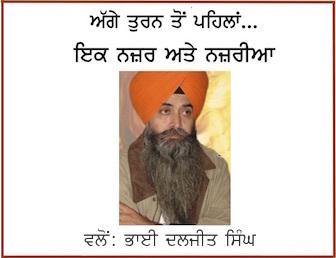 Ludhiana fake encounter killings – Who is SAD (Badal) leader Gurjit Singh Machhiwara? Ludhiana fake encounter killings – Who is SAD (Badal) leader Gurjit Singh Machhiwara? Ludhiana fake encounter killings – Who is SAD (Badal) leader Gurjit Singh Machhiwara? Ludhiana, Punjab: The main accused in the Ludhiana fake encounter killings Gurjit was earlier a Congress loyalist. The police have found that Harmanpinder Singh, whom Gurjit used to call his nephew, is not his relative. Gurjit, a landlord who owns a lavish farmhouse at Balachaur, entered politics in 2008. He had contested the block samiti elections on a Congress ticket in 2008. Later, Gurjit joined the SAD. His wife, Rajwinder Kaur, had contested the sarpanch election on a SAD (Badal) ticket. Police said Gurjit had tipped off the police about the brothers. On Saturday, when they struck at the house at Jamalpur, the main door was locked from inside. Baldev entered the house after jumping from the roof of the neighbouring house. As he barged into the house, the brothers and their two accomplices overpowered him and snatched his rifle. Baldev opened the door and the three others, including Gurjit, entered the house. The police sources said the police team and Gurjit indulged in a scuffle with the brothers and their accomplices and snatched the rifle back. Suddenly, Gurjit took out his pistol and fired at the two from close range.The police team also arrested the two accomplices of the brothers as they tried to escape. According to police investigation, the brothers had rented the house recently. The police were looking for them as they were wanted in case of attempt to murder and molestation. Sources said the police had detained dismissed inspector Manjinder Singh, SHO, Machhiwara police station in Ludhiana fake encounter, on Monday evening and were interrogating him. The police have not formally arrested him. 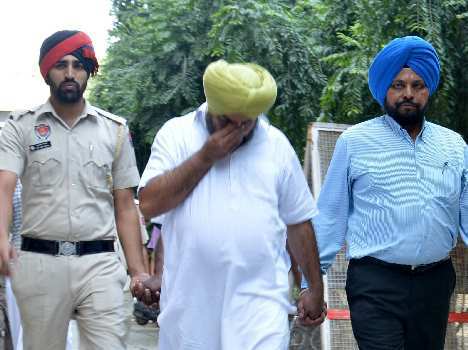 Gurjit was allegedly close to constable Yadwinder Singh. Sources said Gurjit had also helped Yadwinder in buying a car.